As Soundcloud hit major crisis in recent weeks, Getintothis’ Jono Podmore explores the rise, fall and the last minute saving of a site many of us hold dear. Musicians, bloggers, listeners all panicking that they would wake up one morning and Soundcloud would be no more. All their work inaccessible, their favourite tunes lost, their websites silent. But it didn’t happen – turns out Soundcloud like so many businesses in our post-crash, post-capitalist world, is somehow too big to fail. – and it’s not like they didn’t try. As the entire world began to turn to streaming as its preferred way to experience music with sales of CDs and downloads continuing to diminish, Soundcloud managed to run up a loss of $54.3 million in 2015. I’ve been told by a number of record company lackeys over the last 5 years that streaming is the model that will save the music business. Yet Soundcloud as one of the biggest players in the streaming game just had to be rescued – to the tune of $169.5 million. But beyond the lurid tales of the “lifestyle” of the board, just the figures themselves tell a story we could well see repeated as capitalism lurches in to a new phase. In January this year, Soundcloud founder and CEO Alexander Ljung filed a report at Companies House which in a rather understated fashion admitted the company was “currently loss making”. Based on 2015 figures the report shows that the company generated $22.4 million revenue in 2015, 21.8% up in the previous year, however its losses totalled $54.3 million. So a website which looks like it costs about £10,000 to run that survives from content provided gratis from elsewhere managed to run up costs of $54.3 million. What did they spend the money on? Well one thing is for sure – they didn’t spend it on content – the music – that generated that $22.4 million for them in 2015. Since the early 20th century, the PRS in the UK and collection agencies in other territories have provided a major lifeline for composers and musicians by collecting royalties on the artist’s behalf for performances of their music. So for example, a piece of mine Gwan released in 2000 was played by a DJ at the Beat Herder festival summer 2016, so the PRS paid me £15.61. That money came from the license that the promoter paid to the PRS to hold the festival, the DJ noted my tune on his playlist and a year later I get 50% of the royalty (my publisher gets the other 50%). That model kept a lot of us afloat for just about a century, with TV, radio and live performances in PRS licensed venues generating a bigger royalty. But as part of the same pay out from the PRS that included my £15 from Beat Herder, was my income from plays one of my pieces on Soundcloud. In a year, 364 UK “limited downloads” of H5NS generated just £0.0063 and 242 plays across Europe brought me £0.0043. Added together that’s a resounding £0.0106, which they rounded down and gave me – a penny. The PRS, god love them, did the maths and the admin to make sure that desultory, insulting penny got deposited into my account. I won’t be dining out on the income from the other streaming services that host my music (iTunes, Amazon and other “online residuals”) but play for play it’s up to 10 times more. A guide to the less than transparent world of online performance royalty per platform can be found here. If a million full plays on YouTube brings you as little as £1,400 then you can see why most musicians have a day job these days, the days of having years to develop an act are sadly well behind us. 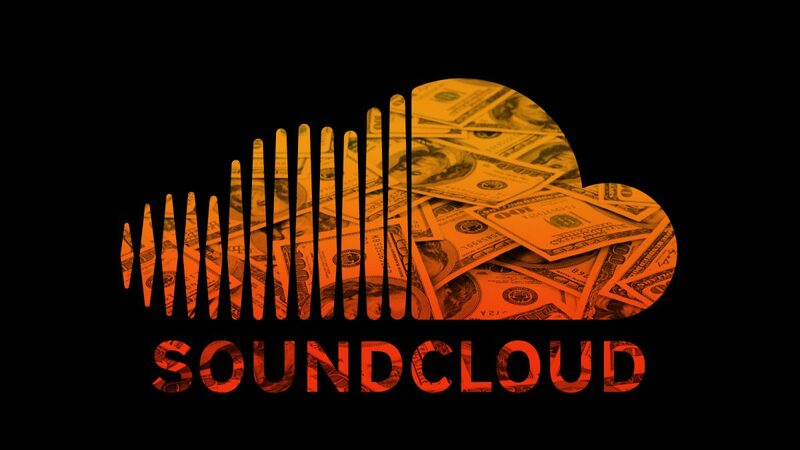 The Soundcloud royalty rate shows an utter disregard for the source of the product that their platform relies entirely upon – in this case me and all the other musicians and producers who provide the content. This is the “Uber” business model – the ultimate expression of the management psychosis that took hold, unsurprisingly, with the rise of neo-liberalism in the 80’s. The idea is that all a successful organisation needs is excellent management and everything else falls into place. As early as the 90s I began to hear complaints from friends and family in industry or healthcare that there was a highly paid tier in management that openly knew nothing about the product or the service the company or department was providing. Chancellors of universities who haven’t been in a seminar since they were students and executives brought in to manage food production who last worked in the car industry, all making ignorant decrees and giving each other pay rises “in line with industry standards”. This has now become exaggerated into entire companies that don’t even touch the product at all, and therefore can operate without the overheads involved in actually making stuff (Google, Uber, Soundcloud etc.) – which somewhat extends the profit margins. So with everything running in their favour and spending little more than pennies on content the Soundcloud management still managed to crash the business on the rocks. Most of the costs were on staff (over $9 million for 109 staff in 2012 = around $84,000 each which steadily increased until 2017), and premises. Management need lovely spaces to operate in of course, unlike the artists that provide the content who are largely working from home. The greater the reach of a page the greater the potential for other sales and advertising revenue. But all too often the clicks and hits are spurious, created automatically by bots: little bits of software written to repeat a task. Used extensively in the banking world for automated transactions, record companies and artists use bots to generate traffic on their Soundcloud pages, pushing up their numbers and thereby the numbers for the platform as a whole. Soundcloud was benefitting from this fraud by passing on the numbers to investors (175 million plays per month in 2015 – who knows how many were real?) so consequently did not make an enormous effort to root the fraud out. Spotify were aware that their rival was floundering, so in September 2016 they entered into negotiations to buy Soundcloud for $1 billion… but got cold feet. Just a few months later Google were reported to be looking to acquire the company for $500 million, down by half. Eventually by August this year, after laying off 40% of its staff in July, investment bank Raine Group and Singapore’s sovereign wealth fund Temasek lead an injection of $169.5 million in to the company and bankruptcy was avoided. Whatever way you look at this, the incompetence, arrogance and ignorance of the management shines through. Playboys rubbing their hands as the investment flowed in on the back of music they were paying for in “micropayments”. If you or I behaved like that you can be sure we’d be picking up our P45 at the door, but this is weird world of late capitalism and that old fashioned logic simply doesn’t apply. 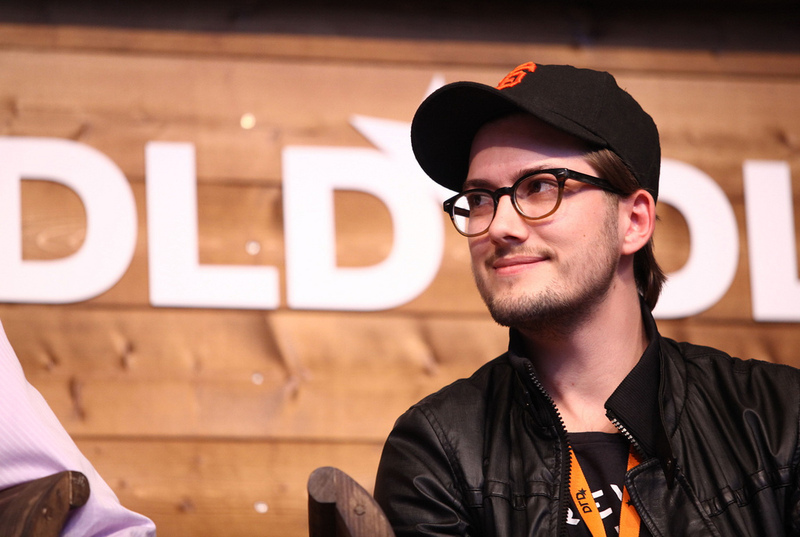 The new investors have replaced Alex Ljung with former Vimeo CEO Kerry Trainor as CEO of Soundcloud. Vimeo functions on the same business model of free content in exchange for enormous advertising and licensing revenue, so he has form. What he knows about music, how it’s made and what that costs, after running a video site is anybody’s guess. But instead of completely removing the man that oversaw the near-demise of a multi-million dollar business that had little other than virtual overheads, Alex Ljung is now chairman of the board. The other members of the original team, Mike Weissman and Eric Wahlforss stay in place too, as chief operations officer and chief product officer respectively. First the banks were too big to fail, now it seems that extends even to individuals. This illustrates a lie at the heart of the neo-liberal agenda adopted by the western democracies: that market forces produce the most efficient solutions. Yet we see incompetents elevated to positions of authority, Stalinesque call centres where you never get an answer, enormous waste and environmental damage. I first came across Soundcloud in the Myspace days. Any musician from the most amateur beginner to established professionals felt it vital to have a Myspace page. The platform pioneered music storage and streaming and a whole generation of artists launched their careers on Myspace: Lily Allen, Arctic Monkeys, Echobelly etc. The Soundcloud player began to appear embedded into Myspace comments, and worked equally well embedded into the newly appearing Facebook pages, usurping the Myspace player and, crucially, allowing downloads. The pirates never had it so good. Since then it has become an industry standard. Distribution companies of physical formats even use Soundcloud to present new material to the shops. However you release your music, you will get drawn into signing up for a Soundcloud account. In the long run the music business will continue to attract chancers and privileged rich kids after a quick buck – it’s been that way since the 60’s. Despite its current central role in the business today, Soundcloud could be superseded and go the way of Myspace in a matter of weeks. The issue here is that if millions of $ continue to get squandered as the revenue streams for music continue to dry up, then the content itself will suffer even more than it has already. Record companies will only invest in sure-fire re-issues, only the most privileged will be able to afford to release and market new music, and then only as a carrot being dangled for advertising revenue. As consumers we need to access our music in ways that reward the creation of the work itself, not just lining the pockets of the playboys and pirates who provide the online services. My advice is to buy vinyl, CD, cassettes from independent record shops and if you must stream and download, do it from Bandcamp, while the artists are still just about able to produce music worth listening to. But of course once people and companies get used to paying next to nothing for any sort of product, it’s very hard to convince them to pay again. Soundcloud are part of the business model that forced the price down, a business model that has rendered them, perhaps too big to fail. Maybe it’s time to let them go?